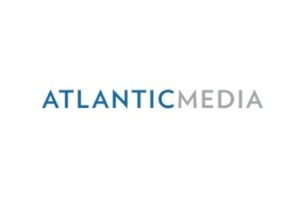 Atlantic Media Chairman and CEO David Bradley announced today that James Bennet and Bob Cohn have been named Co-Presidents of The Atlantic. Bennet will retain his current title of Editor-in-Chief while Cohn will take on the title of COO as well as co-president. He will transition from digital editor to preside over all business operations, including AtlanticLIVE and The Wire. Bradley also announced that Kevin Delaney and Jay Lauf would become Co-President’s of Quartz, Atlantic’s digital business publication. They are and will continue to serve as Editor-in-Chief and Publisher respectively. “With these promotions, we are all but complete in installing a next generation of leadership at Atlantic Media,” Bradley said. Earlier this month, he appointed yet another pair of co-presidents during a round of promotions at National Journal Group. NJ Editor-in-Chief Tim Grieve and Publisher Poppy MacDonald added Co-President to their existing titles, while Tim Hartman was promoted to CEO.